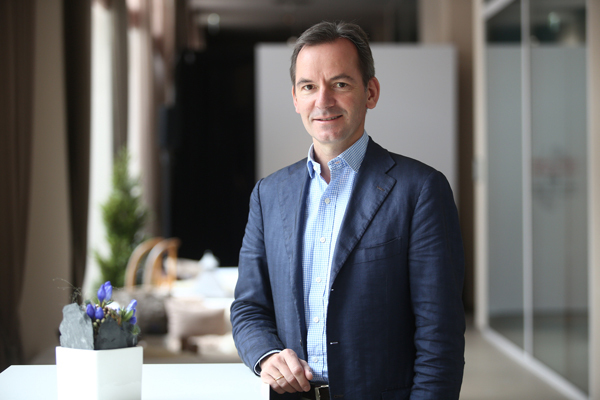 Andreas Jacobs is a hugely successful businessman and industrialist as well as the owner of several top racehorse stud farms around the world. After visiting Maine Chance Farms he fell in love with the farm and bought it. As an act of faith in the venture, and in SA, he brought Silvano in as his first stallion. Despite difficulties with import-export controls, Andreas has never lost faith in this country and has thrown himself whole-heartedly into building Maine Chance into a top stud. With Princess Victoria running brilliantly and looking sure to do great things for him in the near future the names of Maine Chance Farms and Andreas Jacobs should be making the headlines again soon. Your grandfather, Walther, founded the Gestüt Fährhof in 1960 and developed it into an internationally recognised and respected stud farm. You took over Fährhof on your grandfather’s passing while your father, Klaus, acquired Newsells Park Stud in England. With your father’s passing in 2008 you are now also chairman of that operation. With you also owning Maine Chance Farms, and residing in Germany, how do you manage to keep track of all that is happening on your farms?I am very privileged, because I have great teams running the farms. Without these teams, I wouldn’t have the farms. They are part of the fun. For example: there is nothing nicer than walking paddocks with John Slade and listening to his comments on each horse. This is better than any sandy beach, any movie, or any other experience which one can purchase. Trusting the teams, challenging the teams, applying my business mentality, and being allowed to dive into details from time to time, is a huge privilege. It helps my mind like many great breeders and owners in South Africa, we all have – and have to have – global jobs and businesses to fuel the passion for horses. Being everywhere, anytime, is something I do for my business. This is why it is no problem to be involved in three farms in three different places. To top it off I have a wonderful wife, who is the fountain of my drive, who understands my passion for horses, and – most importantly – who covers my back with respect to all my shortcomings in the family. How are matings for the MAINE CHANCE mares decided? John Slade knows all the mares and all the stallions. He puts all the details together. I can only challenge him when looking at the future of the mare or the financial balance between mare value and nomination price. Plus we now have about 50 international mares, where I can comment on the pedigrees and optimal nicks. But, in general, I love mating discussions. They put the truth on the table about the value of your mares, your stallions, and former matings. How do you decide which European mares or colts come to stand in South Africa? I decide this based on the profile of the stallion. There are some basic principles: (1) the horse has to be genetically healthy / no US medication. (2) The horse has to be able to train on, i.e. able to win Gr1 races as an older horse. (3) The horse has to have some mystique in terms of pedigree or racing performance. (4) I have to like the individual for some emotional reasons. Today, I believe in all our stallions. This is why each of them will get more than 20 mares this year.